While we certainly do not yet have all of the facts, we know the winds behind a "gust front" played a role in yesterday's tragedy on Table Rock Lake in which 17 perished. 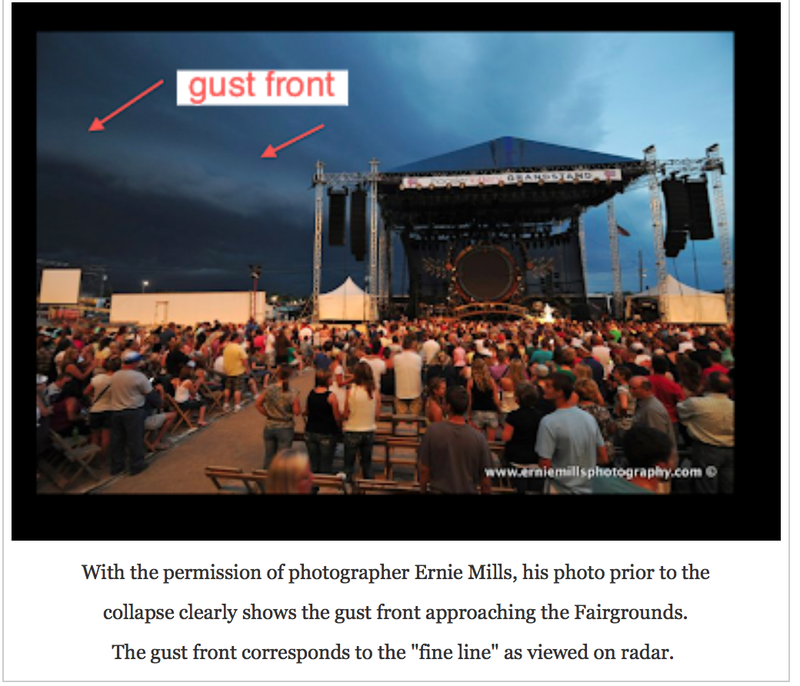 We also know that a gust front played a major role in the collapse of the stage at the Indianapolis State Fair on August 13, 2011, in which seven were killed and 58 injured. Some of those injuries were catastrophic. I want to take a moment to review the similarities between the two tragedies to help illustrate why non-meteorologists should never use radar for mission-critical purposes. The appearance of the Indianapolis and Table Rock gust fronts were very similar. 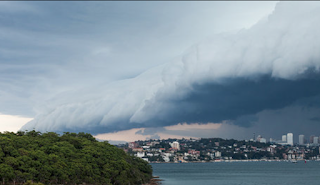 As a gust front (a/k/a squall line or shelf cloud) approaches it will usually have an appearance like the one below. 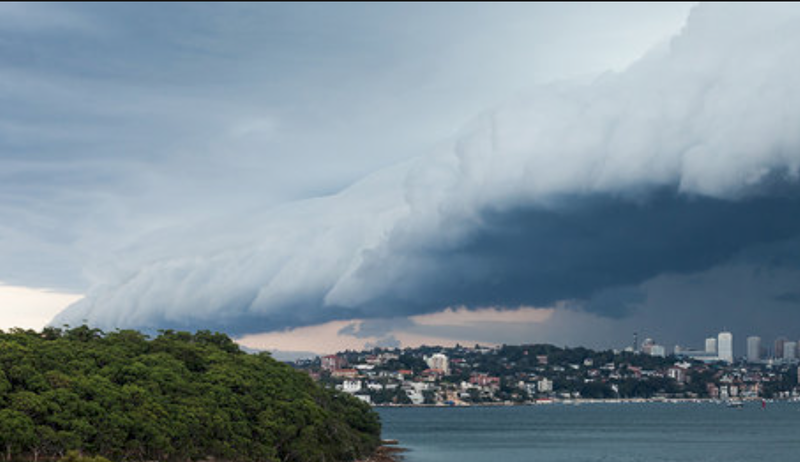 An approaching cloud of that nature means strong, possibly damaging, winds are approaching and that you should get to cover immediately. Note the visibility under the gust front is good. 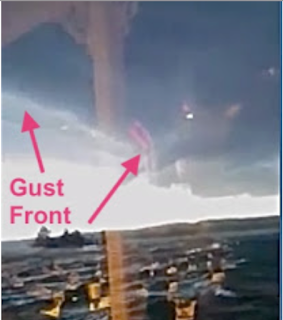 While there are times heavy rains occur immediately after the gust front passes, there is often some amount of time (seconds or minutes) between the gust front and the rain. This is one of many reasons the public should not use radar for mission critical situations. 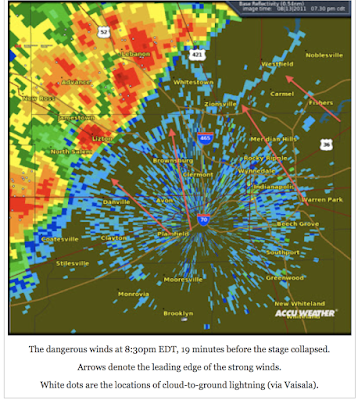 In Indianapolis, the fair officials were "playing meteorologist" and trying to interpret radar to make critical decisions. 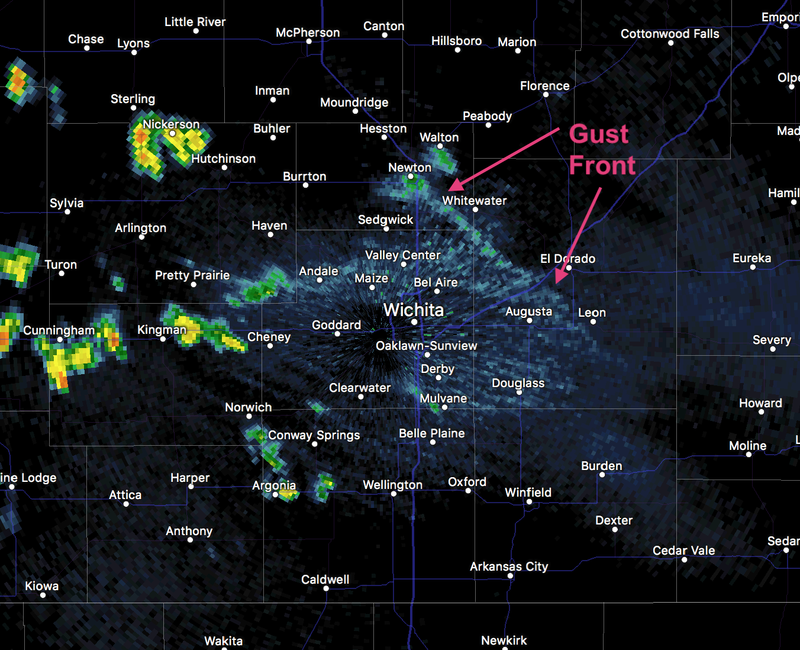 The issue is that gust fronts can be extremely difficult to correctly interpret. A thin blue line. What could be dangerous about that? In this case, you can barely see the blue line. But, it heralded the winds that caused the duck boat to sink. But, here is the catch. Many gust fronts are harmless. We have one moving toward my home in Wichita right now. In addition to gust fronts being difficult for the non-meteorologist to interpret, many radar displays smooth them out. 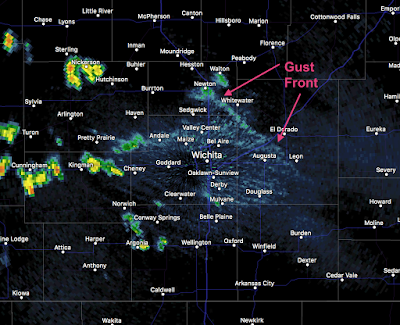 The Weather Channel's radar presentation (left) smooths out the gust front. 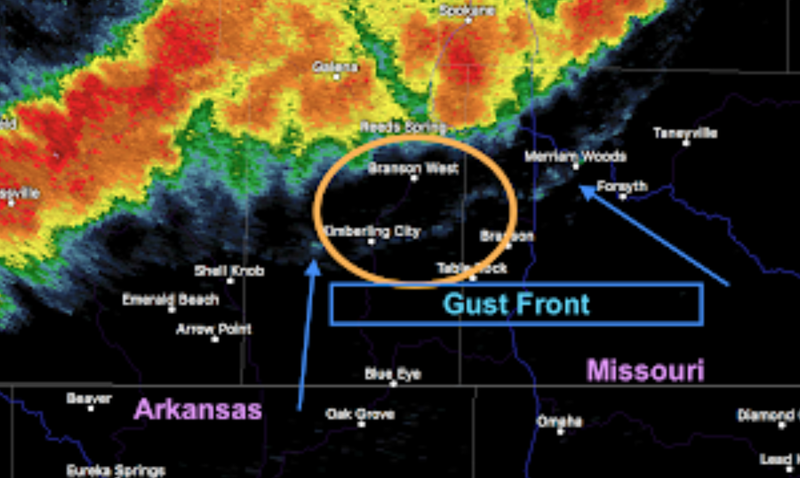 RadarScope's (a professional level product) radar presentation (at the same time) shows the gust front well (arrows). The company from which I retired on March 31, AccuWeather Enterprise Solutions, has clients in the area of Table Rock and provided advance warnings of 70+mph winds yesterday. Commercial weather companies should be used when lives or substantial property is at stake. I cannot say this strongly enough: Non-meteorologists should never use radar for mission critical purposes. And, yes, this includes law enforcement, emergency management and others.